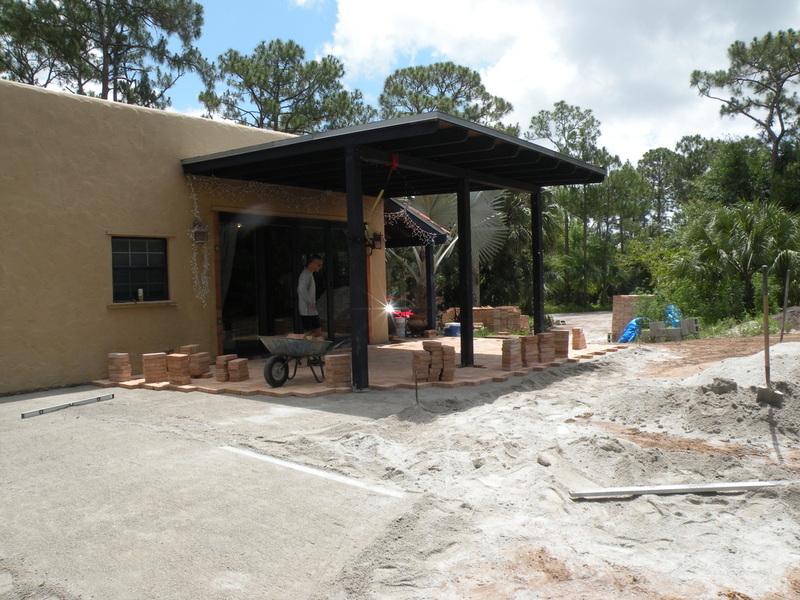 The outdoor living space project is well underway - here we see the raw space that is being used to put down approximately 2000 square feet of Mexican Saltillo Clay Pavers. I can't wait to see what the final space looks like! Fla-Mex Tile not only sells standard (i.e. 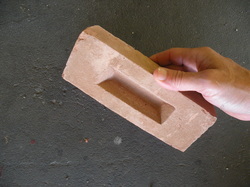 large) Mexican Saltillo clay pavers, but we sell smaller versions which vary in thickness. 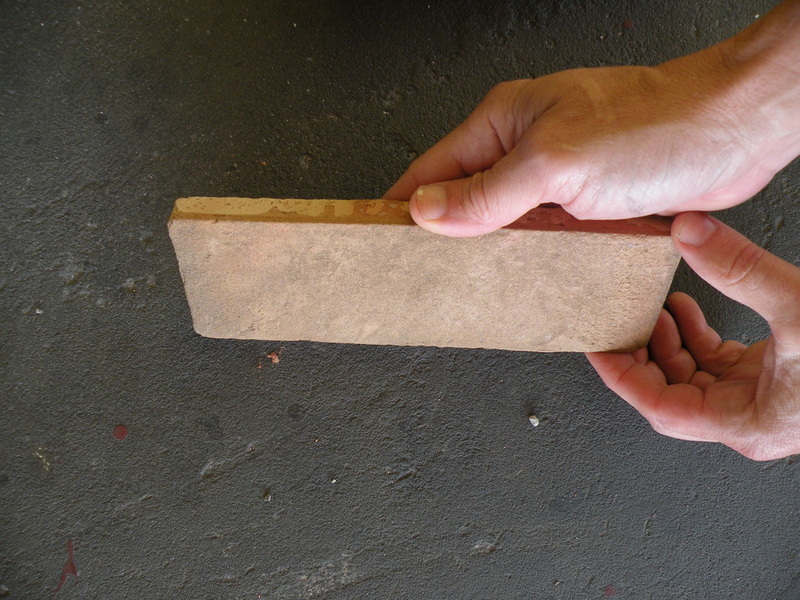 You can use the thin clay paver as a wall facing to give a retaining or garden wall an authentic rustic feel. You can also use the thicker tile (picture, bottom left) to do the same. As you can tell, there is a space on the back for mortar to help adhere to the surface. If you have a smaller space where you want a sidewalk or patio but feel the larger clay pavers don't quite fit the scale of the space, then the slightly thicker clay paver on the left is smaller and might be a better fit for a more intimate setting. Bottom line, you've got options with Fla-Mex tile. E-mail us with your questions! 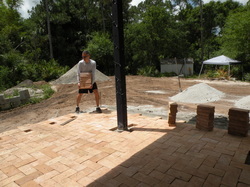 Fla-Mex Tile Inc. sells Mexican Clay Pavers - one of very few companies to do so in South Florida. 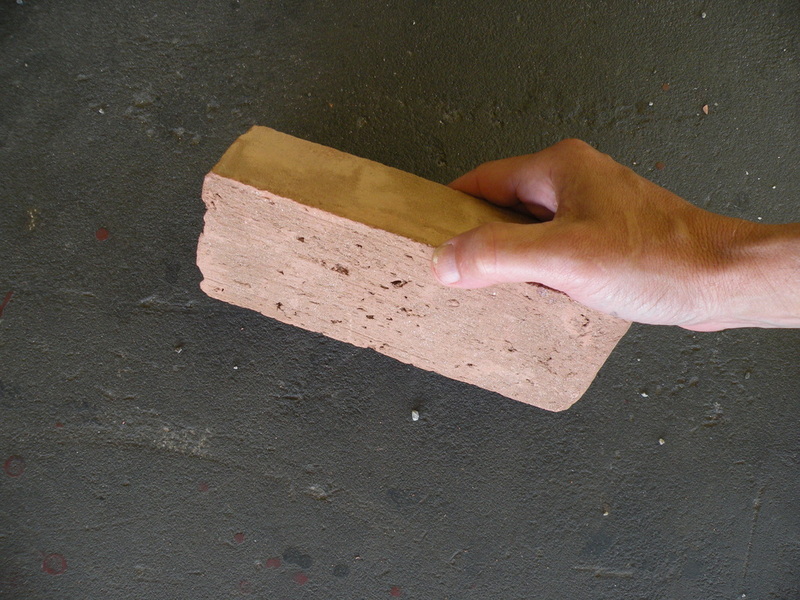 If you're looking to spruce up a walkway or create a stylish and stunning outdoor living space, consider using these ultra affordable pavers straight from Mexico!